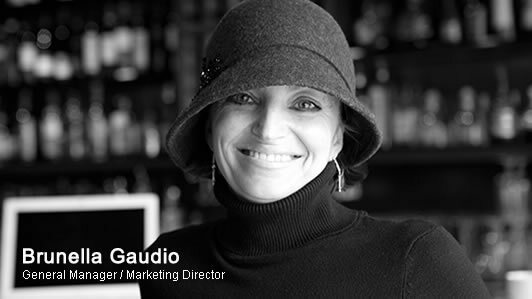 Brunella has been with Federico’s Supper Club since 2004. Having been involved in a variety of industry sectors, Brunella offers extensive management experience in the areas of business and resource development, project management, sales and marketing. Before joining Federico’s, Brunella held the position of Operations and Creative Director for Karma Activewear - a Canadian retail company and Yoga clothing line - putting together the original design team, product line and retail launch during her term. This opportunity was facilitated by her experience with long standing fashion designer, Rozemerie Cuevas, with whom Brunella spent several years as Sales Director for Jacqueline Conoir Designs (now JC studio). Before venturing into the fashion and hospitality segments, Brunella spent several years in medical information technology (MDS-Metro McNair) in the areas of product development, client relations and project management. Her diverse background offers the Supper Club many advantages as a leader on multiple levels. Her passion ultimately rests in the customers’ favourable experience and the overall goal of growing the Supper Club’s unique presence, product and business. Brunella is the main contact for public relations, marketing and special events. She can be reached at info@federicossupperclub.com or by calling the Supper Club at 604.251.3473, Monday to Friday.